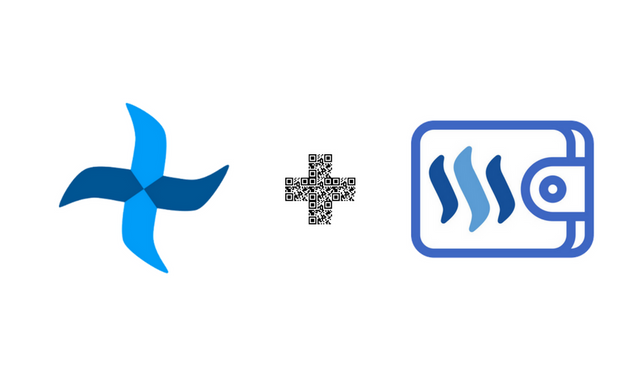 When the Author Popup of SteemPlus is activated, it shows the QR Code of the username for easy integration with SteemWallet. The new code proposed appends an image of the QR code generated on the fly with an api using the username as the data parameter. In your browser, click on the author popup arrow to reveal the QR code. 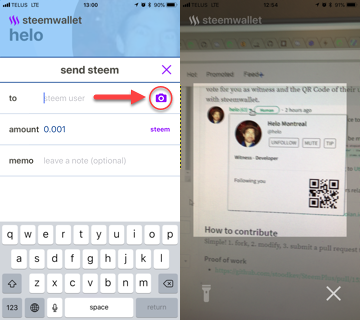 On your phone and in the SteemWallet app, on the send STEEM tab, touch the camera icon, then point the phone to the browser QR code. Simple! 1. fork, 2. modify, 3. submit a pull request to the official repository. mobile steem wallet is a really practical app - combining QR codes to more interfaces, apps is really helpful. I had to score low/average some questions since the changeset is really small and the amount of work is small compared to what we have in average. Are you happy with your test? Your UA account score is currently 4.253 which ranks you at #2522 across all Steem accounts. Your rank has dropped 2094 places in the last three days (old rank 428). In our last Algorithmic Curation Round, consisting of 450 contributions, your post is ranked at #348.